and I don’t know what I’d do without it. 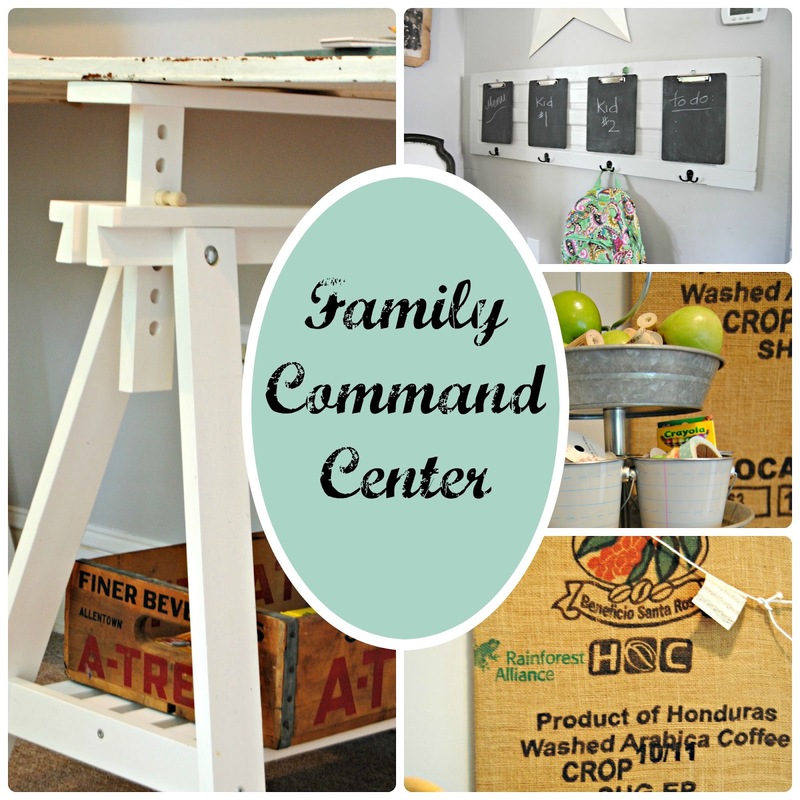 With a little creativity and re-purposed items, you too can create your own command center. 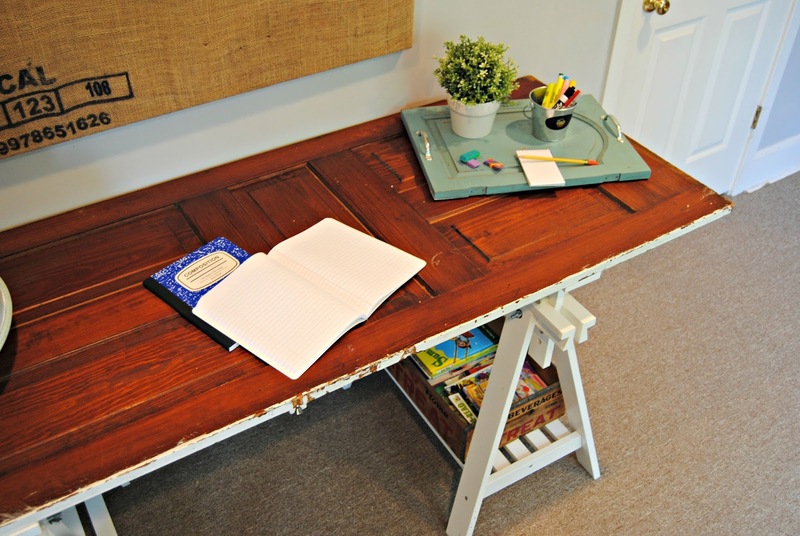 Desk made with with an old door and two sawhorses. 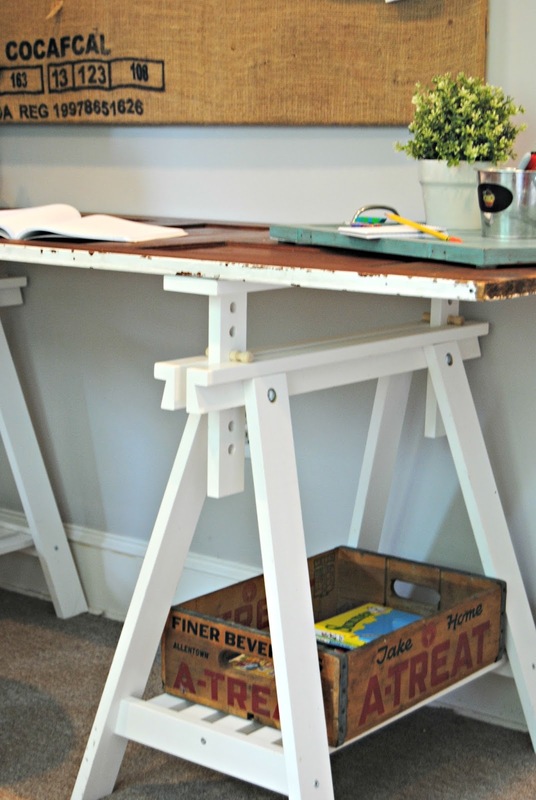 The sawhorses combined with an old door is one of my favorites! the patina and chippiness of an old door. 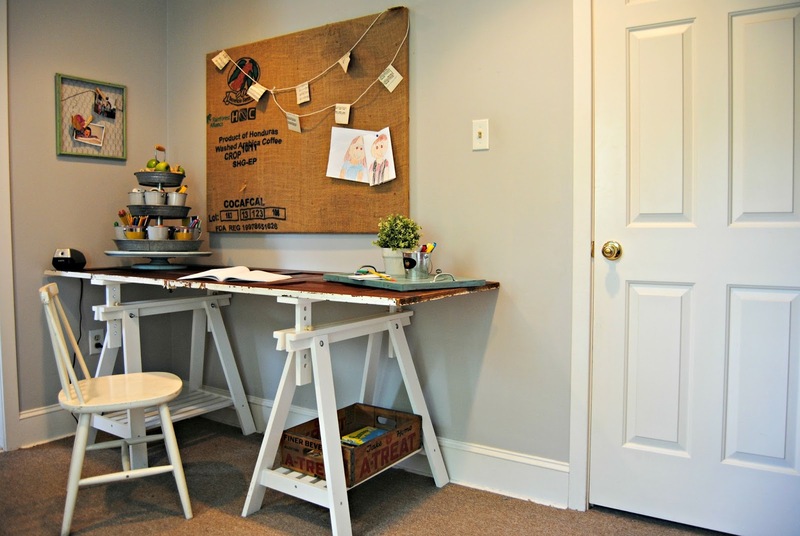 The door adds a ton of work space and character too. 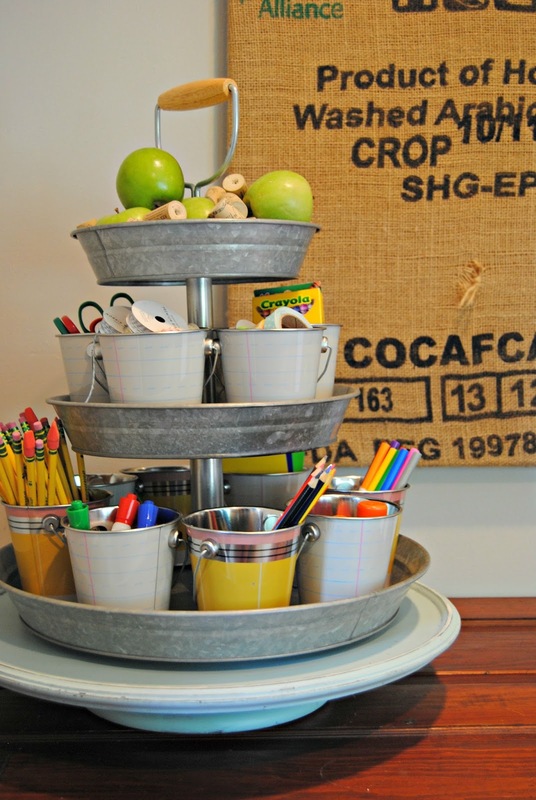 I used this three tiered tray, usually seen in the kitchen, as a supply caddy. 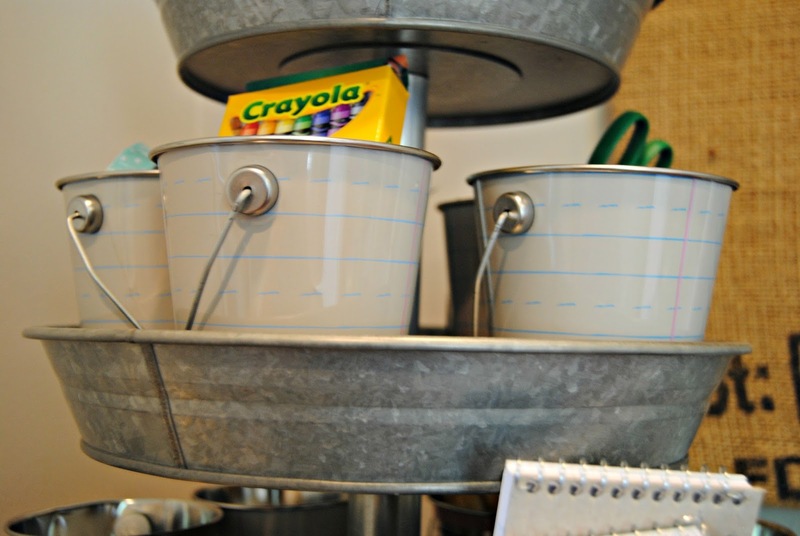 I added mini buckets from Target for easy to reach storage. 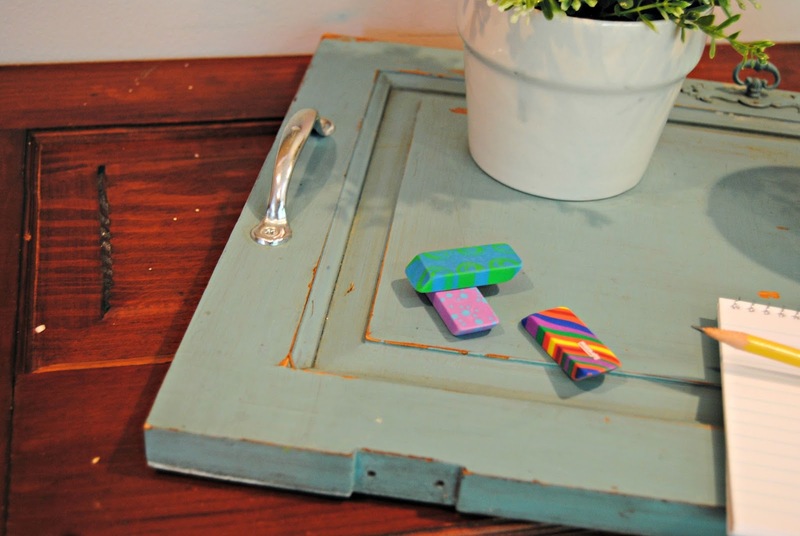 A cast off cabinet door was turned into a tray. I painted the door blue and added some handles. 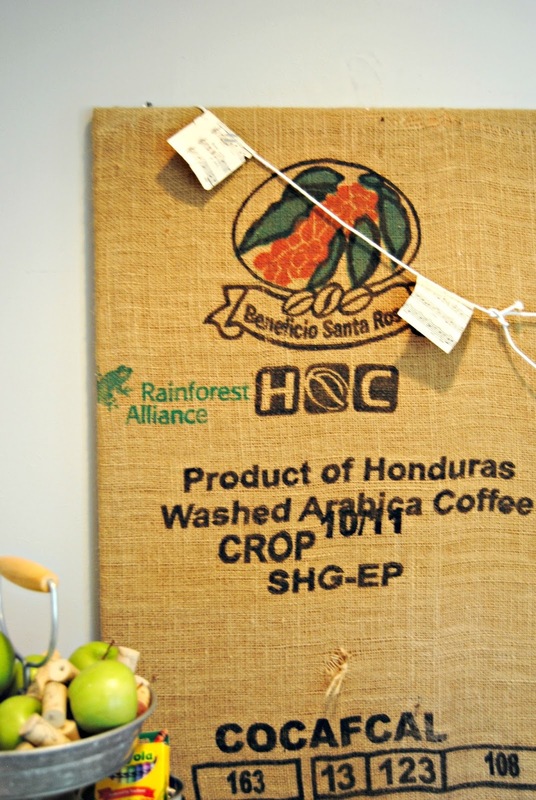 Knocking on a few coffee shop doors will get you some burlap sacks. 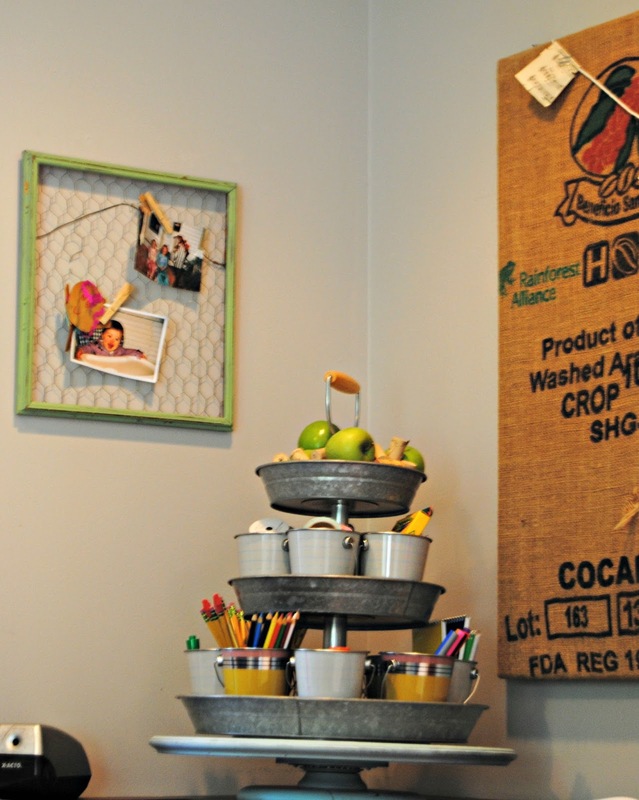 I used a staple gun to attached the burlap to a cork board for a little extra character and charm. 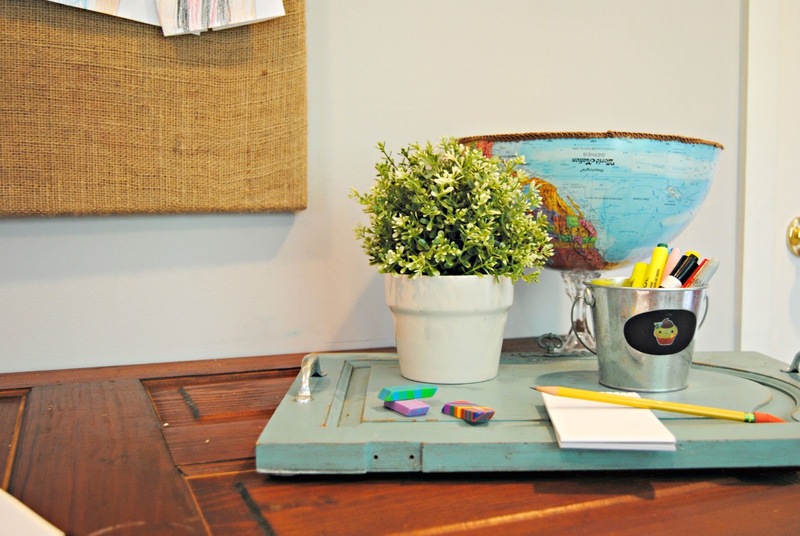 Organize the family with clipboards. 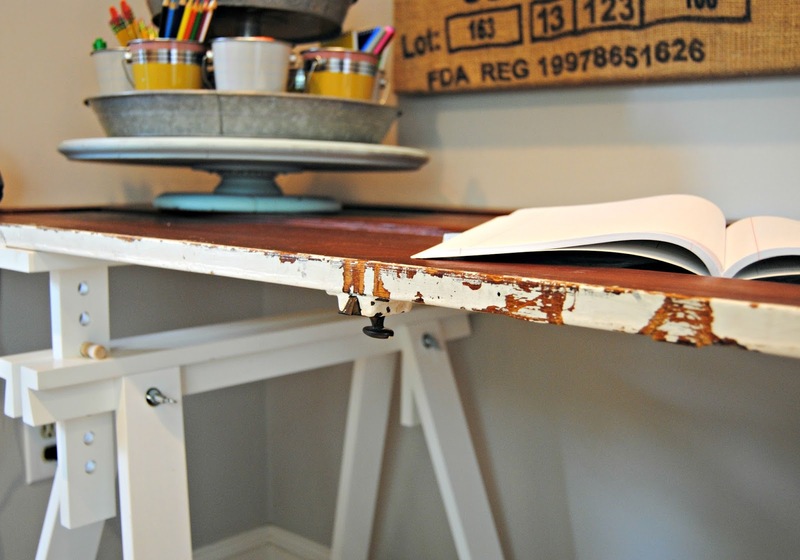 Simplistic and efficient. 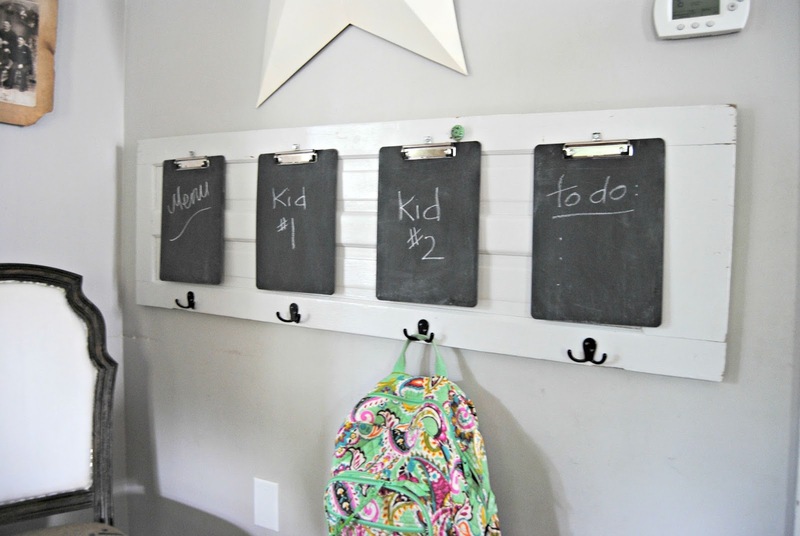 The clipboards are painted with chalkboard paint, so they can be used for notes as well as hanging memos. 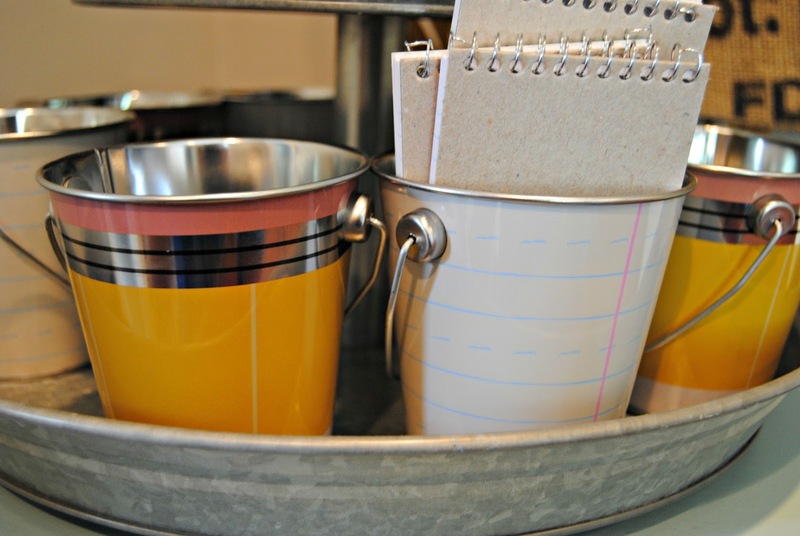 Each clipboard is removable, so you can make your list and take it with you. 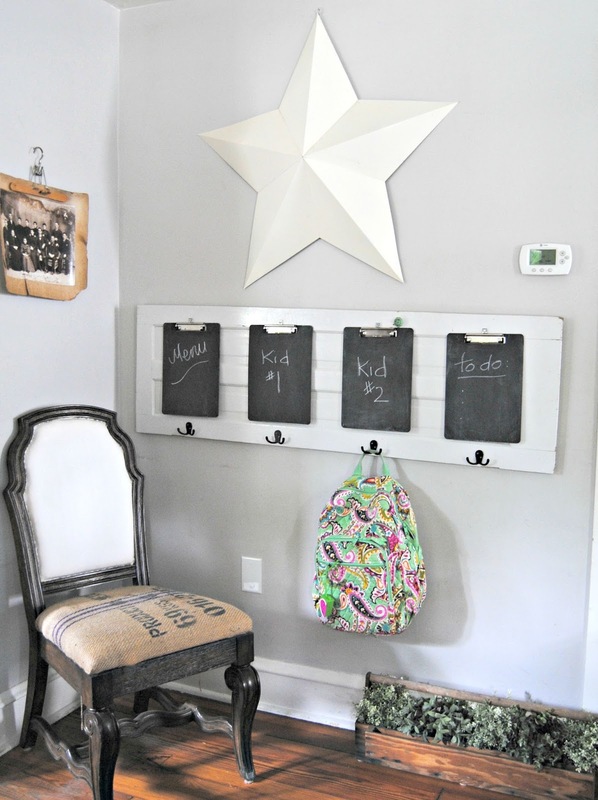 I also added hooks for an easy place for the kids to hang their back packs. 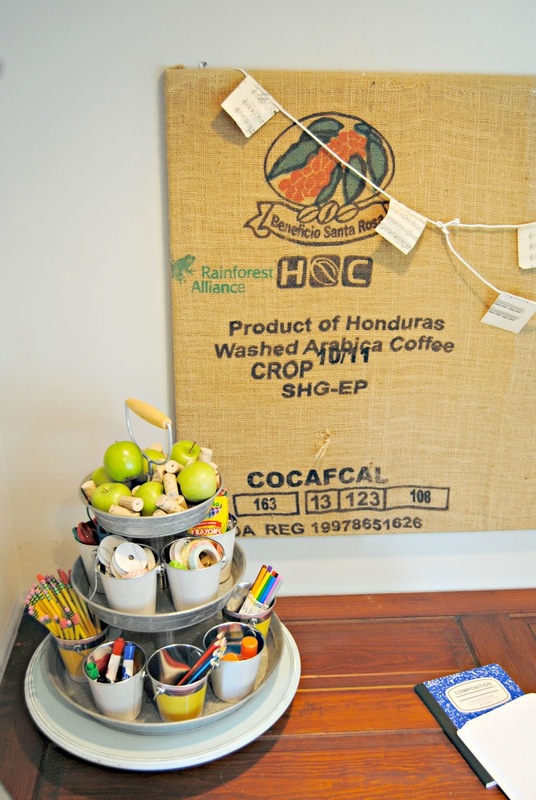 Did you know you can purchase all of the items seem here?